Sire of CLOUDS UNFOLD,DUTCH PHILIP, MAGICAL WONDERLAND, FORT WINTER, FABIAN, Warrior’s Rest, What A Player etc. WHAT A WINTER Champion Older Male in South Africa in 2011-12. Champion Sprinter in South Africa in 2011-12 & 2012-13. 15 wins-1 at 2-from 1000m to 1600m, R3,292,110, Kenilworth Cape Flying Championship, Gr.1-twice, Turffontein Computaform Sprint H., Gr.1, Clairwood Mercury Sprint, Gr.1, Kenilworth Selangor Cup, Gr.2, Diadem S., Gr.2-twice, Sophomore Sprint H., L, Clairwood Offering the Most Competitive Prices S., Kenilworth Speak to Us for Your Next Event S., Old Mutual S., Swedocar S., Wilgerbosdrift S., 2d Turffontein Computaform Sprint H., Gr.1, Kenilworth Cape Flying Championship, Gr.1, Cape Classic, Gr.3, 3d Turffontein Computaform Sprint H., Gr.1, Clairwood Mercury Sprint, Gr.1. He entered stud in South Af in 2013. Leading Sth. Af. First Season Sire in 2016-17. Sire of 148 progeny to race, 81 winners (54.0%), earnings of over $1.8 million, 5 stakes winners, 3 stakes placegetters, inc.
CLOUDS UNFOLD (15f, Montjeu, Pursuit of Love). 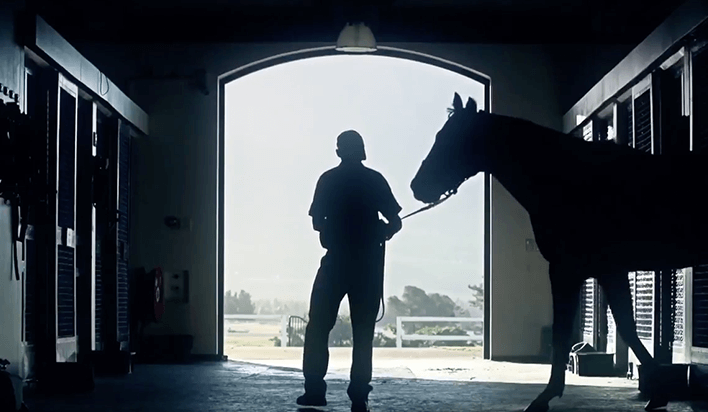 6 wins-3 at 2-from 1000m to 1600m to 2018-19, R1,458,125, Kenilworth Majorca S., Gr.1, Western Cape Fillies Championship, Gr.2, Sceptre S., Gr.2, Cape of Good Hope Nursery, Gr.3, 3d Kenilworth Cape Fillies Guineas, Gr.1. MAGICAL WONDERLAND (14f, Al Mufti, Northern Guest). 5 wins-3 at 2-at 1000m, 1200m to 2017-18, R1,719,566, Kenilworth Sceptre S., Gr.2, Perfect Promise Sprint, L, Kenilworth Fillies Nursery, L, Durbanville Racing at Its Best Progress P., 2d Scottsville South African Fillies Sprint, Gr.1, Kenilworth Western Cape Fillies Championship, Gr.2, 3d Kenilworth CTS 1200. DUTCH PHILIP (14c, Dominion Royale, Hard Up). 5 wins-4 at 2-at 1000m, 1200m to 2017-18, R3,466,820, Kenilworth Cape of Good Hope Nursery, Gr.3, Somerset P., L, CTS 1200, 2d Kenilworth Cape Merchants, Gr.2, Book Your Seat S., Betting World S., 3d Kenilworth Southeaster Sprint, L, Summer Juvenile S., L, Pinnacle S., Durbanville Supabets H.
FORT WINTER (14c, Fort Wood, Russian Fox). 3 wins-1 at 2-at 1000m, 1200m to 2018-19, R233,800, Fairview East Cape Nursery, L, 4th Fairview Dahlia P., L.
FABIAN (15c, Parade Leader, National Assembly). 2 wins-1 at 2-at 1000m, 1400m to 2018-19, R188,725, Fairview Ibhayi S., L, 3d Durbanville First Deposit Match Progress P.
Warrior’s Rest (14c, Badger Land, Dowdstown Charley). 4 wins-1 at 2-from 1400m to 1600m to 2018-19, R411,038, Vaal Interbet.co.za Assessment P., Join Us for Champions Day 4 May H., Turffontein 24/7 Customer Support P., 2d Turffontein Joburg’s Prawn Festival in March Assessment P., Vaal Happy Festive Season From Racing It’s a Rush P., 3d Greyville Premiers Champion S., Gr.1, Turffontein Summer Funstays at Emperors Palace H.
Pretty Penny (14f, Silvano, Kentucky Slew). 3 wins at 1150m, 1200m in 2017-18, R285,350, Vaal Durban July Pool H., Tab Telebet H., 2d Turffontein Bauhinia H., L, Vaal Betting World H., 4th Turffontein Magnolia H., Gr.3. What a Player (14f, Darshaan, Green Desert). 2 wins at 1400m, 1600m to 2018-19, R195,200, 2d Fairview East Cape Guineas, L, Aloe H., 3d Fairview Breeders Guineas, L.
Agent of Fortune (15c, Jet Master, Al Mufti). Winner at 2 in 2017-18, R218,750, Kenilworth Kuda Sprint. Winter Blues (14c, Danske, Heart of Darkness). 5 wins at 1000m in 2017-18, R351,441, Scottsville Yves Saint-Martin H., Fresh Eyes Communication H., Greyville Gold Circle Racing You Tube Channel Playlist H., Reshens Freight H., 3d Greyville Tabgold S., 4th Greyville Umngeni H., L.
Casual Wear (15f, London News, Mullineaux). 4 wins-1 at 2-at 1000m, 1150m to 2018-19, R336,863, Turffontein Gauteng Guineas Day in February Assessment P., Save the Date 4 May H., Decadence by Racing It’s a Rush H., 2d Vaal Grand Heritage in September H.
Sacred Arrow (15c, Rambo Dancer, Best by Test). 3 wins-1 at 2-at 1250m, 1400m to 2018-19, R174,550, Kenilworth Play Soccer H.
Durty Nelly (15f, Royal Academy, Bletchingly). 3 wins-1 at 2-at 1200m to 2018-19, R173,425, Kenilworth Next Meeting Durbanville Saturday H.
Winter Storm (15c, National Emblem, Bush Telegraph). 3 wins at 1000m, 1200m in 2018-19, R242,975, Vaal Join Us for the Prawn Festival H., Next Racemeeting Tuesday H., 3d Turffontein Tab Telebet P., Lonaci Jackpot Special P.
Celestial Storm (15f, Spaceship, Dancing Champ). 3 wins at 1000m, 1250m in 2018-19, R224,125, Durbanville Interbet.co.za H.
Royal Frost (14f, Elliodor, Golden Thatch). 3 wins at 1400m, 1600m to 2018-19, R270,400, Greyville Gold Circle Podcast S., Kenilworth Next Race Meeting Saturday H., 3d Kenilworth Play Soccer H.
Cause and Effect (14f, Dr Fong, El Gran Senor). 3 wins at 1200m to 2018-19, R233,300, Greyville Download the Tabgold Information App H., Scottsville Baker Tilly SA H., 3d Scottsville Track & Ball Gaming H., Greyville BP Chatsworth H., Gold Circle on Facebook H.
Forehand (14f, Sportsworld, Harry Hotspur). 3 wins from 1250m to 1600m to 2018-19, R229,725, Greyville Vengeance of Rain H., Scottsville Follow Gold Circle on Facebook H., 3d Scottsville Itsarush.co.za H.
What a Winner (14c, Eli’s Star, St Cuthbert). 3 wins at 1000m to 2018-19, R301,450, Durbanville Play Soccer H., 2d Kenilworth Next Meeting Saturday H., Supabets H.-twice. Russet Air (15c, Jallad, Northern Guest). 2 wins-1 at 2-at 1000m, 1200m to 2018-19, Kenilworth Tab H., 2d Kenilworth Need for Speed Sprint. Mr Whatson (15c, National Emblem, Model Man). 2 wins at 1000m in 2018-19, Vaal Play Soccer 6, 10 and 13 Assessment P.
Mar del Sur (14f, Dynasty, Twig Moss). 2 wins-1 at 2-at 1200m, 1400m to 2017-18, R164,500, Vaal Next Race Meeting Thursday H., 2d Turffontein Grand Heritage in September H., Spectracare Progress P., 3d Turffontein Racing at Its Best H., Greyville Lenmed: Ethekwini Heart Hospital Juvenile P.
Snow Boarding (14c, Camden Park, Historian). 2 wins-1 at 2-at 1150m to 2017-18, R192,600, Turffontein Grand Heritage in September Progress P., 2d Turffontein Flamingo Park Raceday in August Juvenile P., WSB July in Jozi Juvenile P., 3d Turffontein Juvenile P.
Ring of Fire (16c, National Emblem, Harry Hotspur). Winner at 2 in 2018-19, Greyville Autosure Juvenile P., 3d Turffontein Itsarush.co.za Juvenile P.
What a Summer (14c, Fort Wood, Kenmare). 3 wins at 1400m, 1600m to 2018-19, R205,300, 3d Durbanville Betting World H.
Tripod (14g, Jet Master, Harry Hotspur). 2 wins at 1000m in 2017-18, R170,124, 3d Turffontein Next Racemeeting Sunday H., Vaal Classic Day Tickets at Webticket H.
Travel in Style (14f, Jet Master, Golden Thatch). 2 wins at 1200m, 1400m to 2018-19, R170,825, 2d Kenilworth Interbet.co.za H., Durbanville Interbet.co.za H., 3d Durbanville Betting World H., Kenilworth Vaderlandscherietvlei and DS Farrier H.
Cape Xtreme (14c, Fort Wood, Elliodor).  2 wins at 2000m, 2400m in 2017-18, R165,950, 3d Durbanville Interbet.co.za H., Kenilworth Drakenstein Stud H.
Tana’s Eagle (15f, Restructure, Damascus Gate). 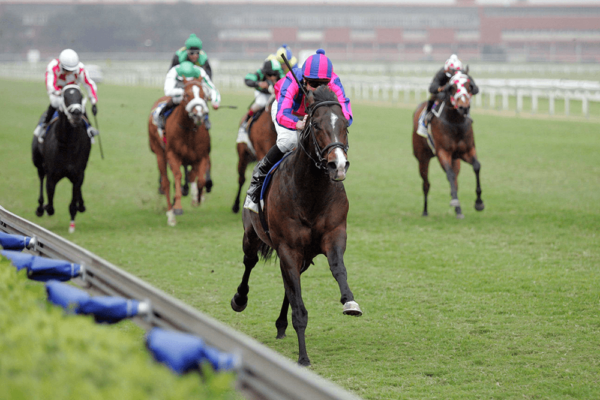 Winner at 1000m in 2018-19, 3d Vaal Book for St. Patrick’s Day Assessment P.
Red Eight (14c, Spectrum, Dancing Champ). Winner at 1200m in 2017-18, R191,600, 3d Kenilworth Next Race Meeting Tuesday H.
WESTERN WINTER 5 wins at 6f, 7f, US$312,310, Hialeah Joseph M O’Farrell S., L, Belmont Allowance, Gulfstream Park Allowance-twice, 2d Belmont Metropolitan H., Gr.1, Keeneland Commonwealth H., Gr.2-twice, Hialeah Surfside S., L, 3d Aqueduct Carter H., Gr.1, Gulfstream Park Eillo H., L. He entered stud in South Af in 1997. 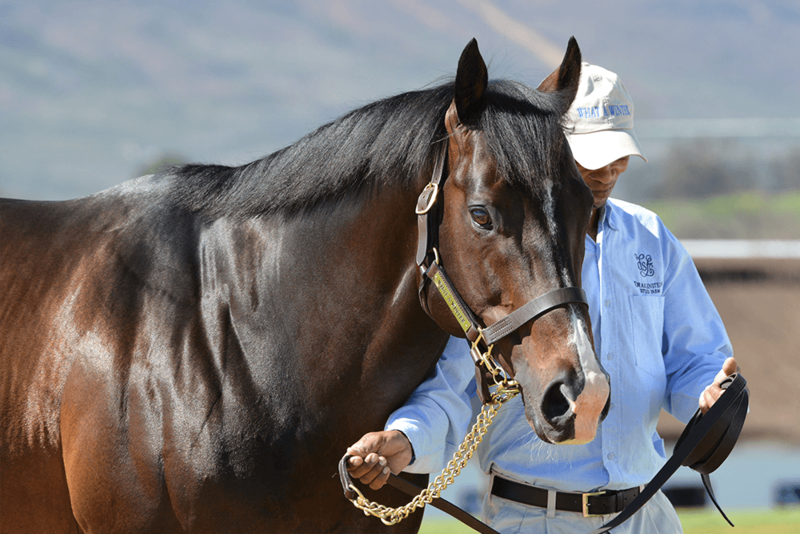 Champion Sire in South Africa 3 times. Champion Broodmare Sire in South Africa in 2017-18. Leading Sire of 2YOs in South Africa 3 times. Sire of 791 progeny to race, 642 winners (81.0%), earnings of over $30 million, 90 stakes winners, 71 stakes placegetters, inc.
YARD-ARM (99g, Dancing Champ, Beau Charles). Horse of the Year & Champion Older Classic Male in South Africa in 2003-04.11 wins from 1200m to 2450m, US$315, R3,701,250, 130,000Dhs, Kenilworth J&B Metropolitan H., Gr.1, Turffontein John Skeaping Trophy S., Gr.1, Kenilworth Queen’s P., Gr.1, Clairwood Gold Challenge, Gr.1, South African Derby, Gr.1, Newmarket Elevation S., Gr.2, Clairwood Cup Trial, Gr.3, Nad al Sheba Al Fahidi Fort S., L, 2d Greyville Durban July H., Gr.1, Turffontein Summer Cup, Gr.1, South African Classic, Gr.1, Triple Crown Guineas, Gr.1. WHAT A WINTER (07c, Ahonoora, Troy). Champion Older Male in South Africa in 2011-12. 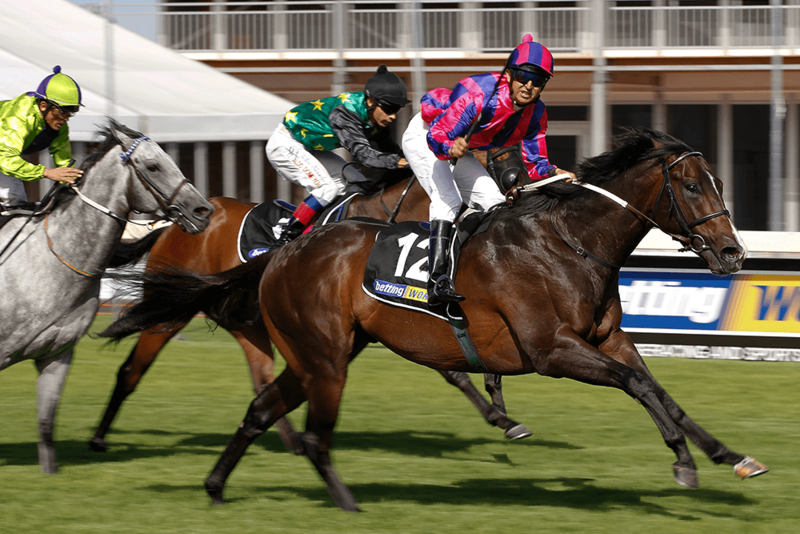 Champion Sprinter in South Africa in 2011-12 & 2012-13.15 wins-1 at 2-from 1000m to 1600m, R3,292,110, Kenilworth Cape Flying Championship, Gr.1-twice, Turffontein Computaform Sprint H., Gr.1, Clairwood Mercury Sprint, Gr.1, Kenilworth Selangor Cup, Gr.2, Diadem S., Gr.2-twice, Sophomore Sprint H., L, Clairwood Offering the Most Competitive Prices S., Kenilworth Speak to Us for Your Next Event S., Old Mutual S., Swedocar S., Wilgerbosdrift S., 2d Turffontein Computaform Sprint H., Gr.1, Kenilworth Cape Flying Championship, Gr.1, Cape Classic, Gr.3, 3d Turffontein Computaform Sprint H., Gr.1, Clairwood Mercury Sprint, Gr.1. WINTER SOLSTICE (00g, Melun, Drum Beat). Horse of the Year & Champion Older Male in South Africa in 2005-06.12 wins-1 at 2-from 1200m to 1800m, R2,274,875, Kenilworth Queen’s P., Gr.1-twice, Clairwood Gold Challenge, Gr.1, Champions Cup, Gr.1, Greyville Drill Hall S., Gr.2, Kenilworth Green Point S., Gr.2, Winter Guineas, Gr.3, Winter Classic, Gr.3, Bloomsbury Investment Cars H., 2d Kenilworth Winter Derby, Gr.3, Jeffart Summer Season S., Wilger Bosdrift Advance P., 3d Kenilworth J&B Metropolitan H., Gr.1, 4th Kenilworth Cape Classic S., Gr.3. SET AFIRE (98g, Northfields, Plum Bold). 12 wins-2 at 2-from 1400m to 2000m, R1,886,162, Turffontein Horse Chestnut S., Gr.1, Champion S., Gr.1, Clairwood Gold Challenge, Gr.1, Turffontein London News S., Gr.3, Secretariat S., Gr.3, Newmarket Sea Cottage S., Vaal Milling Company (Pty) Ltd H., 2d Turffontein Dingaans H., Gr.2, Colorado King S., Gr.2, Newmarket Elevation S., Gr.2, Fairview Algoa Cup, Gr.3, Gosforth Park Graham Beck H., L, 3d Kenilworth J&B Metropolitan H., Gr.1, Newmarket South African Classic, Gr.1, Turffontein Triple Crown Guineas, Gr.1, Arlington Arlington 1800 H., Fairview Founders Trophy, 4th Arlington Memorial Mile, L.
CAPETOWN NOIR (09c, Fort Wood, Northern Guest). Champion Miler in South Africa in 2013-14.8 wins-1 at 2-from 1200m to 2000m, R2,719,450, Kenilworth Cape Guineas, Gr.1, Queen’s P., Gr.1, Cape Derby, Gr.1, Durbanville Matchem S., Gr.3, Scottsville Byerley Turk P., Gr.3, Kenilworth Etana Insurance P., 2d Turffontein Horse Chestnut S., Gr.1, Greyville KRA Guineas, Gr.2, Kenilworth Selangor Cup, Gr.2, Durbanville Sparkling Gem H., 3d Greyville Daily News 2000 S., Gr.1, Drill Hall S., Gr.2, 4th Clairwood Gold Challenge, Gr.1. SURVEYOR (99g, Northfields, Con Brio). 10 wins-2 at 2-from 1000m to 1800m, R1,278,105, S$616,377, 636,640Dhs, Turffontein Triple Crown Guineas, Gr.1, South African Classic, Gr.1, Dingaans H., Gr.2, Nad al Sheba Jebel Hatta S., Gr.3, Newmarket Tony Ruffel S., L, Vaal Racing Express Speedhorse H., 2d Greyville Daily News Two Thousand S., Gr.1, Singapore Airlines International Cup, Gr.1, Nad al Sheba Al Rashidiya S., L, Newmarket Falcon Sprint H., L, Singapore Derby Trial, L, Turffontein Phumelela S., Skynet Worldwide Express H., Sea Cottage S., 3d Nad al Sheba Al Fahidi Fort S., Gr.3, Newmarket UK Soccer 6 Superior P., 4th South African Guineas, Gr.1, Turffontein Hawaii S., Gr.2, Singapore Derby, L.
WARM WHITE NIGHT (05c, Foveros, Capriole). 7 wins-3 at 2-to 1200m, R1,600,075, Scottsville Gold Medallion S., Gr.1, Kenilworth Cape Flying Championship, Gr.1, Turffontein South African Nursery P., Gr.2, Protea S., Gr.3, Man o’ War Sprint H., Gr.3, Racing Association Pinnacle S., 2d Greyville Golden Horseshoe S., Gr.1, 3d Turffontein Computaform Sprint H., Gr.1, Mr RA Burg Pinnacle S.
LADY WINDERMERE (05f, Averof, Sovereign Dice). Champion 3YO Filly in South Africa in 2008-09.6 wins-1 at 2-from 1000m to 1600m, R985,630, Scottsville South African Fillies Sprint S., Gr.1, Greyville Garden Province S., Gr.1, Kenilworth Southern Cross S., Gr.2, Sceptre S., Gr.2, 3d Kenilworth Fillies Nursery, Gr.3, 4th Greyville Debutante S., Gr.2, Clairwood Poinsettia S., Gr.3. BAD GIRL RUNS (02f, Sadler’s Wells, Sharpen Up). Joint Champion 3YO Filly in South Africa in 2005-06.6 wins-1 at 2-from 1000m to 1800m, R649,380, 264,960Dhs, Kenilworth Cape Fillies Guineas, Gr.1, Paddock S., Gr.1, Fillies Championship S., Gr.2, Nad al Sheba Kallemni Trophy. ICE CUBE (00g, Trigger Finger, Peaceable Kingdom). Champion 2YO Colt in South Africa in 2002-03.5 wins-4 at 2-from 1000m to 1800m, R819,338, Scottsville Gold Medallion S., Gr.1, Clairwood Premier’s Champion S., Gr.1, Turffontein Protea S., Gr.2, 2d Turffontein South African Nursery P., Gr.1, Colorado King S., Gr.2, 3d Turffontein John Skeaping Trophy S., Gr.2, Kenilworth Premier’s Trophy, Gr.2, 4th Turffontein Horse Chestnut S., Gr.1. ARGONAUT (04c, Del Sarto, Abadan). 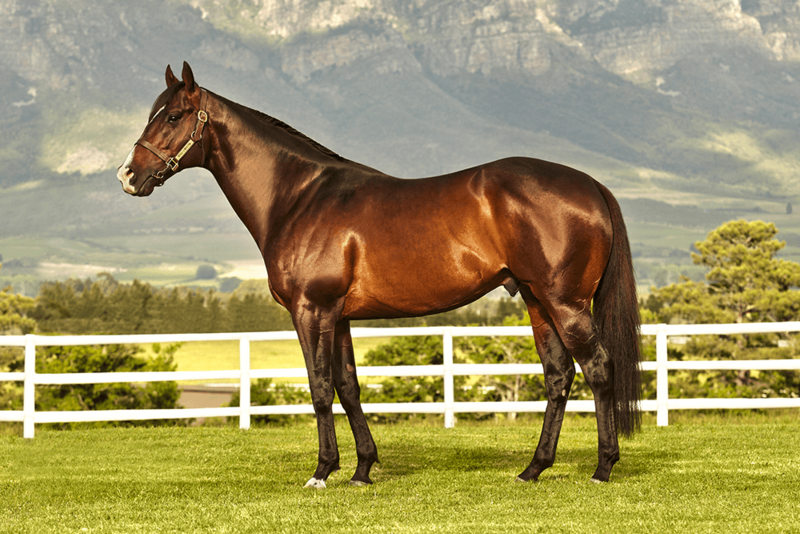 Champion 2YO Colt in South Africa in 2006-07.3 wins at 2, R765,625, Clairwood Premier’s Champion S., Gr.1, Greyville Golden Horseshoe S., Gr.1, 2d Scottsville Gold Medallion S., Gr.1. COVENANT (07f, Bush Telegraph, Regent Street). 7 wins from 1000m to 1600m, R979,085, Kenilworth Majorca S., Gr.1, Southern Cross S., Gr.2, Sceptre S., Gr.2-twice, Sweet Chestnut S., L, 3d Scottsville South African Fillies Sprint S., Gr.1, Kenilworth Southern Cross S., Gr.2, Clairwood Tibouchina S., Gr.2, 4th Clairwood Mercury Sprint, Gr.1. SOLO TRAVELLER (07g, Jallad, Centaine). 6 wins-1 at 2-at 1400m, 1600m, R1,688,237, Kenilworth Cape Guineas, Gr.1, Greyville KRA Guineas, Gr.2, Kenilworth Cape Classic, Gr.3, Mauritius TC Duchess of York Cup, 2d Greyville Big City Life S., 3d Turffontein Horse Chestnut S., Gr.1, Greyville Champions Cup, Gr.1, Kenilworth Selangor Cup, Gr.2, Politician S., L, Mauritius TC La Coupe du Cent-Cinquantenaire, Turffontein Soccer 6 S., 4th Greyville Betting World 1900, Gr.2, Scottsville Sledgehammer H., L.
ATTENBOROUGH (13c, Caesour, Jallad). 5 wins-2 at 2-to 1200m to 2017-18, R1,909,909, Turffontein Computaform Sprint, Gr.1, Scottsville In Full Flight H., L, Kenilworth Somerset P., L, 2d Greyville Mercury Sprint, Gr.1, Kenilworth Cape of Good Hope Nursery, Gr.3, Greyville Compendium Insurance Brokers H., 3d Kenilworth CTS Sprint, 4th Kenilworth Langerman H., Gr.3. RED RAY (10c, Pas de Quoi, Northfields). 5 wins-3 at 2-at 1200m, 1400m, R2,048,750, Greyville Mercury Sprint, Gr.1, Kenilworth Cape Classic, Gr.3, Somerset P., L, 2d Kenilworth Cape Flying Championship, Gr.1, Scottsville Golden Horse Casino Sprint, Gr.1, South African Nursery P., Gr.1, Kenilworth Lanzerac Ready to Run S., 3d Kenilworth Cape Guineas, Gr.1, Cape Flying Championship, Gr.1, 4th Scottsville Tsogo Sun Sprint, Gr.1, Kenilworth Diadem S., Gr.2. ON HER TOES (05f, Badger Land, Accipiter). 5 wins-2 at 2-from 1200m to 1600m, R637,755, Scottsville Allan Robertson Fillies Championship, Gr.1, Greyville KZN Fillies Guineas, Gr.2, Scottsville Umzimkhulu S., Gr.3, 2d Turffontein South African Fillies Nursery, Gr.2, 3d Turffontein Three Troikas S., Gr.3, 4th Greyville Garden Province S., Gr.1, Turffontein Gauteng Fillies Guineas, Gr.2. REVEILLE BOY (99g, Dancing Champ, Peaceable Kingdom). 8 wins from 1200m to 3200m, R826,875, Greyville Gold Cup, Gr.1, Astrapak H., Gr.2, Hardy Boys H., 3d Clairwood Gold Circle Derby, Gr.2, Greyville Michaelmas H., L, 4th Greyville Durban July H., Gr.1. SWARTLAND (00g, Dancing Champ, Oligarchy). 7 wins-2 at 2-from 1200m to 1700m, R518,935, Newmarket November H., Gr.1, Scottsville Thukela H., L.
REDBERRY LANE (13f, Jallad, Centaine). 5 wins at 1450m, 1600m to 2018-19, R1,124,525, Greyville Garden Province S., Gr.1, Turffontein Syringa H., L, Full Dividend No Limits S., Interbet.co.za P., 2d Turffontein Acacia H., Gr.3, Meoquanee S., Betting World H., Interbet.co.za H., Interbet.co.za P., Tellytrack.com H., 3d Turffontein Betting World S.
NANIA (04f, Pas de Quoi, Northfields). 5 wins-3 at 2-from 1200m to 1600m, R591,048, Clairwood Thekwini S., Gr.1, Kenilworth Prix du Cap, Gr.3, 2d Greyville Debutante S., Gr.2, Kenilworth Fillies Championship S., Gr.2, 3d Kenilworth Majorca S., Gr.1, Kenilworth Fillies Nursery, Gr.3, 4th Kenilworth Premier Trophy, Gr.2, Sceptre S., Gr.2, Olympic Duel S., L.
FAIR MAIDEN (01f, Priceless Asset, Flower Power). 5 wins from 1300m to 1600m, R658,625, Turffontein Empress Club S., Gr.1, Three Troikas S., Gr.3, 2d Kenilworth Cape Fillies Guineas, Gr.1, Majorca S., Gr.1, 3d Greyville South African Fillies Guineas, Gr.2. FEARLESS (03g, Foveros, Persian Wonder). Champion 2YO Colt in South Africa in 2005-06.7 wins-2 at 2-from 1200m to 1800m, R386,070, HK$6,182,600, Greyville Golden Horseshoe S., Gr.1, HKJC Co-Tack H., East Point H., Lam Tin H., Cathay Pacific International Jockeys’ Championship H., 2d HKJC Sa Sa Ladies’ Purse, Audemars Piguet Royal Oak H., D’Aguilar Peak H., Hong Kong Football 125th Anniversary H., Wong Cup, Mount Parker H., 3d Mercedes-Benz Hong Kong Classic Mile, L, HKJC Cuckoo H., Fan Lau H., Victoria Racing Club H., Wellness Club H., Sasa Beauty Plus H.
ROXANNE (02f, Royal Chalice, Jungle Cove). 5 wins-3 at 2-from 1200m to 1600m, R561,760, Clairwood Thekwini S., Gr.1, Turffontein Steinhoff Cup, 3d Greyville Garden Province S., Gr.1. LIGHT THE LIGHTS (11g, Northern Guest, Elliodor). 6 wins-1 at 2-from 1600m to 2200m to 2017-18, R668,550, 1,281,290Dhs, Kenilworth Peninsula H., Gr.2, Abu Dhabi Championship, Gr.3, Meydan Singspiel S., L, Fairview Racing Association S., L, Meydan Mubadala Global Trophy H., 2d Meydan Al Rashidiya S., Gr.2, Clairwood Conker Juvenile P., Durbanville Racing Its a Rush P., 3d Greyville KRA Guineas, Gr.2, 4th Kenilworth J&B Metropolitan H., Gr.1, Meydan Al Rashidiya S., Gr.2. WESTERN PROSPECT (00g, Proclaim, Oats). 8 wins from 1800m to 2400m, R618,590, Clairwood Gold Circle Derby, Gr.2, Newmarket Elevation S., Gr.2, Greyville Lonsdale Stirrup Cup, Gr.3, 2d Turffontein Colorado King S., Gr.2, Greyville Darley Arabian H., L, 3d Turffontein Gold Bowl, Gr.2. COLD AS ICE (11f, National Assembly, Harry Hotspur). 6 wins to 1400m, £37,235, R889,875, Kenilworth Choice Carriers Championship, Gr.2, Sceptre S., Gr.2, Laisserfaire S., L, Soccer 13 P., 2d Kenilworth Majorca S., Gr.1, 3d Lingfield Cleves S., L.
GREY ARROW (00g, Kenmare, Pas de Seul). 7 wins-1 at 2-from 1600m to 2200m, R612,315, Turffontein John Skeaping Trophy S., Gr.2, Drum Star S., L, 2d Greyville Sugar Mill H., L, Vaal DHL H., 3d Newmarket Victory Moon H., Gr.3, Turffontein London News S., Gr.3, Grafton Everest H., Champ de Mars Maiden Cup. SUPREME SUNSET (10f, Royal Chalice, Dancing Champ). 4 wins from 1400m to 1600m, R496,450, Turffontein Johannesburg Spring Fillies & Mares Challenge, Gr.2, Fairview East Cape Paddock S., L, Kenilworth Cape Town Prawn Festival Day H., 2d Kenilworth Best Dressed Hat Competition P., 3d Kenilworth Sweet Chestnut S., L, 4th Greyville Gold Bracelet, Gr.2, Kenilworth Stormsvlei Mile, L.
WESTON PAINT (99g, Red Ryder, Persian Wonder). 10 wins-1 at 2-from 1200m to 2200m, R310,181, Z$1,310,837,500, Borrowdale OK Grand Challenge, Gr.2, Independence Trophy, 2d Borrowdale Castle Tankard, Gr.2, Randjesfontein Slumberland H., 3d Borrowdale Independence Trophy, Winning Form Challenge H.
BRUTAL FORCE (11g, Pas de Quoi, Northfields). 8 wins to 1200m, R2,014,550, Turffontein Merchants H., Gr.2, Kenilworth Cape Thoroughbred Sales S., Turffontein Hennenman Memorial S., Book a Table S., Kenilworth Vasco Food Trucks Pinnacle S., First National Bank S., Scottsville Mike Azzie Racing Stables S., 2d Kenilworth Cape Flying Championship, Gr.1, Lanzerac Ready to Run S., Scottsville Racing It’s a Rush S., Kenilworth BMW S., 3d Greyville Umngeni H., L, Kenilworth Southeaster Sprint, L, 4th Kenilworth Cape Flying Championship, Gr.1, Turffontein Computaform Sprint, Gr.1. POLAR BOUND (07g, Citidancer, Balkan Knight). Joint Champion Miler in Mauritius in 2014.8 wins from 1400m to 1800m, R763,441, Kenilworth Peninsula H., Gr.2, Mauritius TC Barbe Cup, Greyville Morris Vee H., Durbanville Omaha Beach H., Kenilworth Multotech H., 3d Mauritius TC Duchess of York Cup. LION IN WINTER (06g, Pas de Quoi, Foveros). 8 wins-1 at 2-from 1200m to 1800m, R739,430, Kenilworth Peninsula H., Gr.2, Clairwood Patcon H., Mercury Wine Week S., South Coast Herald H., Kenilworth Engen H., 2d Kenilworth Cape of Good Hope Nursery, Gr.3, 3d Kenilworth Green Point S., Gr.2, Cocktails & Racing S., Greyville Charity Turf Challenge Pinnacle S., 4th Kenilworth Premier Trophy, Gr.2, Winter Guineas, Gr.3. NATURAL SELECTION (01g, Man of Property, Marazion). 7 wins-1 at 2-from 1300m to 2000m, R1,191,960, Newmarket Colorado King S., Gr.2, Computaform Rating H., Turffontein Winner’s World H., 2d Turffontein Summer Cup, Gr.1, OWA Ceiling-Systems H., Vaal Racing Express H., 3d Turffontein Gommagomma Challenge, Gr.1, Tony Ruffel S., Gr.3, Vaal Computaform H., Turffontein Winner’s World Form Factor H., 4th Greyville Durban July H., Gr.1. BISHOP’S BOUNTY (13c, Pas de Quoi, Northfields). 5 wins-2 at 2-at 1100m, 1200m to 2017-18, R705,862, Kenilworth Diadem S., Gr.2, Greyville Ethekwini Sprint, 2d Kenilworth Sophomore Sprint H., L, 3d Kenilworth Summer Juvenile S., L, Fairview Supabets S., Scottsville Racing It’s a Rush P., Racing It’s a Rush H., 4th Kenilworth Cape Merchants, Gr.2, Cape of Good Hope Nursery, Gr.3. BRAGGADACIO (03g, Priceless Asset, Flower Power). 5 wins to 1450m, R725,800, Turffontein Hawaii S., Gr.2, 2d Greyville Drill Hall S., Gr.2, Vaal August S., L, Turffontein Racing Express Pinnacle S., St Laurences Childrens Haven Pinnacle S., Greyville Bold Ellinore H., 3d Turffontein Horse Chestnut S., Gr.1, 4th Turffontein November H., Gr.2. JAGGED ICE (02g, Trigger Finger, Peaceable Kingdom). 5 wins from 1600m to 2000m, R825,830, Kenilworth Green Point S., Gr.2, 2d Greyville Daily News Two Thousand S., Gr.1, Kenilworth Green Point S., Gr.2, Clairwood Gold Circle Derby, Gr.2, 3d Greyville Durban July H., Gr.1, 4th Clairwood Champions Cup, Gr.1, Kenilworth Cape Derby, Gr.1. WESTON BLAZE (98g, Dancing Champ, Harry Hotspur). 5 wins-1 at 2-at 1600m, 1700m, R293,432, Greyville Golden Horseshoe S., Gr.2, 3d Gosforth Park Graham Beck H., L.
BICHETTE (11f, Badger Land, Dowdstown Charley). 4 wins at 1150m, 1400m, R780,625, Turffontein Camellia S., Gr.2, Itsarush.co.za H., Citizen S., 2d Turffontein Ipi Tombe Challenge, Gr.2, 3d Greyville Garden Province S., Gr.1, Turffontein Three Troikas S., Gr.3, Sycamore Sprint, Gr.3, 4th Kenilworth Majorca S., Gr.1, Scottsville Tsogo Sun Sprint, Gr.1. CARRY ON KATIE (03f, Best by Test, Free Ride). 4 wins-2 at 2-to 1400m, R730,360, Greyville Debutante S., Gr.2, Newmarket Racing Express Advance P., 2d Kenilworth Paddock S., Gr.1, Turffontein Ipi Tombe Challenge, Gr.2, Greyville Gold Bracelet S., Gr.2, Turffontein Renounce S., L, 3d Turffontein South African Fillies Nursery, Gr.2, Gerald Rosenberg S., Gr.2, Pretty Polly S., Gr.3, Sycamore Sprint H., L, Greyville Legacy Insurance Brokers Conditions P., 4th Clairwood Thekwini S., Gr.1. BURAN (03c, Centenary, True Swallow). 3 wins at 2, R206,750, Greyville Umkhomazi S., Gr.2, Randjesfontein Unitrans Juvenile S.
WINTERINTHEWOODS (05f, Fort Wood, Foveros). 2 wins-1 at 2-at 1000m, 1400m, R190,125, Greyville Debutante S., Gr.2. WINTER WEATHER (04g, Dancing Champ, Over the Air). 2 wins at 2200m, 2400m, R299,508, Clairwood Gold Circle Derby, Gr.2. THE WEST IS WIDE (09c, Fard, Harry Hotspur). 9 wins-3 at 2-to 1200m, R644,315, Kenilworth Cape of Good Hope Nursery, Gr.3, Southeaster Sprint S., L, Somerset P., L, Fairview Speedsters S., Fly Jet Stream H., Itsarush.co.za S., Kenilworth All to Come H., Racingitsarush.co.za H., 4th Fairview East Cape Sprint Cup, L, Kenilworth Southeaster Sprint S., L.
FRESNAYE (14f, Dubai Destination, Sadler’s Wells). 5 wins from 1200m to 2200m to 2018-19, R837,350, Kenilworth Victress S., Gr.3, Stormsvlei Mile, L, Winter Oaks, L, Tab Telebet H., 2d Kenilworth Final Fling S., Gr.3, 3d Kenilworth Cape Fillies Guineas, Gr.1, Paddock S., Gr.1, Fairview Jockey Club S., L, 4th Kenilworth Paddock S., Gr.1, Majorca S., Gr.1. CHAMONIX (99g, Beldale Lustre, Do Battle). 9 wins-1 at 2-from 900m to 2200m, R436,814, Clairwood Cup Trial, Gr.3, Greyville Sugar Mill H., L, Kenilworth Clothing City H., Durbanville Kenya H., 3d Scottsville Sledgehammer H., L, Kenilworth Sport’s Chestnut H., Clairwood Tickle Up a Trifecta H., 4th Clairwood Champions Cup, Gr.1. KINGVOLDT (11c, Parade Leader, Northfields). 6 wins-3 at 2-at 1200m, 1400m to 2017-18, R739,625, Kenilworth Cape of Good Hope Nursery, Gr.3, Somerset P., L, Fairview A Shak H., Kenilworth Racing. It’s a Rush H., 2d Kenilworth Selangor Cup, Gr.2, Greyville Byerley Turk P., Gr.3, Fairview Fairview 1400, Kenilworth It’s a Rush.co.za S., 3d Kenilworth Cape Guineas, Gr.1, Fairview November S., Rugby 5 S.
CROC VALLEY (06f, Nashwan, Green Dancer). 6 wins from 1400m to 1800m, R532,270, Kenilworth Prix du Cap, Gr.3, Jamaica H., L, Trippi H., Scottsville Mark Dixon Racing P., 2d Clairwood East Coast H., L, Queen Palm H., L, UK Soccer 4 S., Kenilworth Winter Solstice H., 3d Kenilworth Racing Association H., 4th Kenilworth Cape Fillies Guineas, Gr.1, Prix du Cap, Gr.3, Scottsville Off to Stud H., L.
ACROSS THE ICE (06g, Fort Wood, Northern Guest). 11 wins-1 at 2-to 1400m, R1,373,875, Vaal August S., Gr.3, Pinnacle S.-twice, Classic Easter Carnival S., 3rd Leg Sascoc Triple Crown S., July Day S., Sansui Summer Cup Day S., International Jockeys Challenge S., Greyville Pinnacle S., 2d Vaal August S., Gr.3, Autumn Sand Sprint H., Women’s Day S., Pinnacle S.-twice, All to Come S., Computaform Express S., Thank You for Racing With Us Today S., Turffontein FCS Automatic Sprinkler Inspection Bureau H., Vaal Racing. It’s a Rush S.-twice, All the Best for the Festive Season H., Bedfordview Rotary Club H., Turffontein Computaform Express Allowance P., 3d Turffontein Senor Santa H., Gr.2, Vaal August S., Gr.3, All to Come S., Racing Association H., Betting World Sprint S., Soccer 13 Your Biggest Payday S., L’Ormarins Queens P., Turffontein PSL Soccer 6 P., Vaal UK Soccer 6 P., Scottsville All to Come P., 4th Vaal Emerald Cup, Gr.2-twice, Clairwood Christmas H., Gr.3. ORACLE WEST (01g, Noble Ambition, Wicked Will). 8 wins-1 at 2-from 1200m to 2400m, £2,052, €16,550, US$62,124, R313,250, S$30,000, HK$250,000, 5,376,480Dhs, Nad al Sheba Dubai City of Gold S., Gr.3, Meydan Racecourse H., Attijari Phone Cup, Act One H., Turffontein Nijinsky S., Newmarket Rutherford Advanced P., 2d Nad al Sheba Dubai Sheema Classic S., Gr.1, Dubai City of Gold S., Gr.3, Clairwood Umkhomazi S., Gr.3, Grand Prix de Marseille, L, Newbury John Smith’s Extra Cold S., 3d Kenilworth Cape of Good Hope Derby, Gr.2, South African Derby, Gr.2, Nad al Sheba Dubai City of Gold S., Gr.3, Al Rashidiya S., L, 4th Clairwood Gold Circle Derby, Gr.3, Greyville Sugar Mill H., L.
WINTER MAGIC (98f, Ginistrelli, Folmar). 7 wins-1 at 2-from 1200m to 1700m, R310,505, Greyville Umzimkhulu H., Gr.3, 4th Greyville Flamboyant S., L.
BULLETING HOME (11c, Lion Hearted, Vice Regent). 6 wins at 1450m, 1600m, R773,975, Greyville Kings Cup, Gr.3, Turffontein Next Race Meeting is Saturday S., All to Come H., Racing It’s a Rush H., Rugby 5 H., 2d Turffontein Motor Control & Automation S., GVSC S., All to Come H., Vaal Racing. It’s a Rush H., Racing Association H., 3d Greyville Sibaya Sun S.
NORTHERN HERITAGE (08f, Royal Chalice, Dancing Champ). 5 wins to 1400m, R288,815, Kenilworth Champagne S., Gr.3, African Pride P., Brilliant Cut H.
WINTER BURST (05f, Danehill, Marauding). 5 wins-1 at 2-at 1200m, 1400m, R397,500, Kenilworth Prix du Cap, Gr.3, 2d Kenilworth Olympic Duel S., L-twice, Greyville The Post Readers & Advertisers H., Durbanville Edusport Travel S., 3d Kenilworth Fillies Championship S., Gr.2, Diana S., Gr.3. NEVVAY (04g, National Assembly, Jungle Cove). 5 wins from 1400m to 2400m, R357,135, Greyville Lonsdale Stirrup Cup, Gr.3, 3d Kenilworth Cape Summer Stayers H., Gr.3, Woolavington H., L.
THE BOOGIEMAN (99c, Foveros, Harry Hotspur). 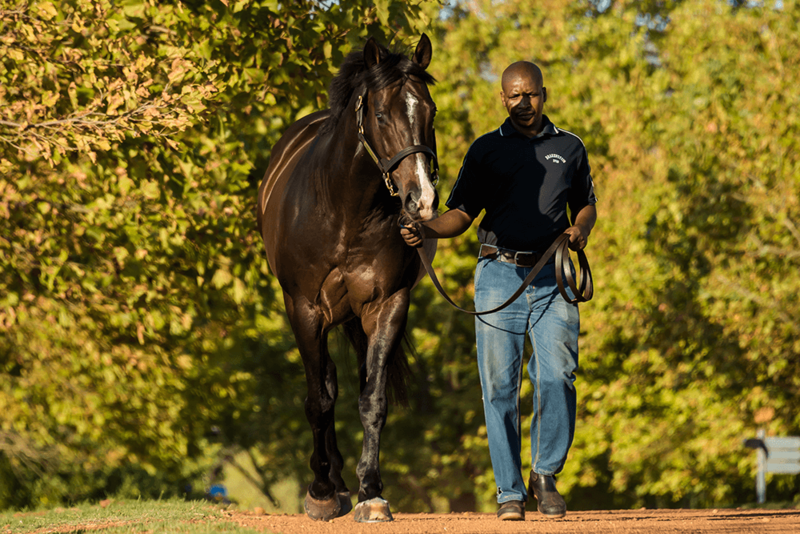 5 wins-1 at 2-at 1000m, R209,375, Vaal Lebelo H., Gr.3, 3d Turffontein Hawaii S., Gr.2, Newmarket Falcon Sprint H., L.
IMPERIAL TRIUMPH (98f, Royal Chalice, Dancing Champ). 5 wins-2 at 2-at 1200m, 1400m, R292,030, Clairwood Debutante S., Gr.3, 2d Scottsville Allan Robertson Fillies Championship, Gr.1, Clairwood Strelitzia S., Gr.3, Scottsville Crowded House H.
His sire sons include What a Winter, Argonaut, Warm White Night, Lion Tamer, Field Event, etc. AHONOORA 7 wins-1 at 2-at 5f, 6f, York William Hill Sprint Championship S., Gr.2, Goodwood King George S., Gr.3, Stewards’ Cup H., L, 2d Royal Ascot King’s Stand S., Gr.1, Haydock Sprint Cup, Gr.2, Sandown Temple S., Gr.3, 3d Ascot Bovis H., L. Second on GB/Ire. Sire List in 1986, 1992. 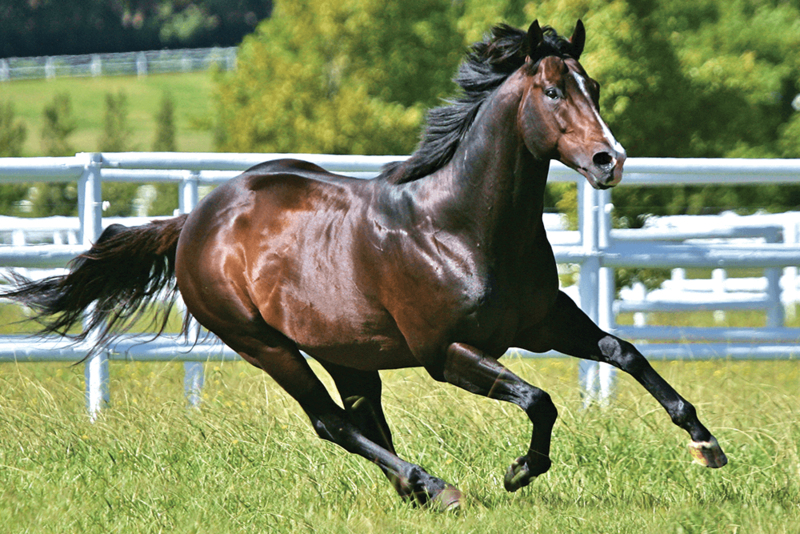 Sire of winners of over $12 million – 42 stakes winners, inc. DR DEVIOUS, BALL PARK, RUBY TIGER, PARK EXPRESS, PARK APPEAL, DON’T FORGET ME, GINNY BINNY, INDIAN RIDGE, NOORA ABU, PROJECT MANAGER, etc. Maternal sire of winners of over $80 million – 81 stakes winners, inc. LEROIDESANIMAUX, NEW APPROACH, WHAT A WINTER, CAPE CROSS, AZERI, WAKY NAO, MALHUB, TRACY’S ELEMENT, MAGUIRE, DANASINGA. They come out of nowhere and take the world by storm, generation after generation. Think Lady Angela. Unplaced in four starts as a 2yo, winner of one of seven starts at three. 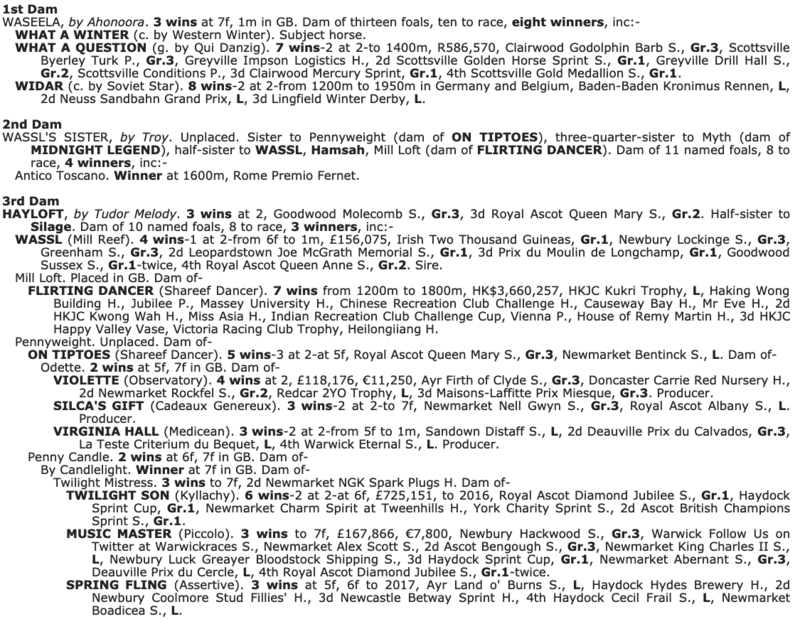 Sold and exported to Canada, carrying a foal by Nearco. That was Nearctic, seven-times Canadian champion sire. Nearctic’s son Northern Dancer, offered at auction but failing to find a buyer, took it from there. Such bolts of lightning can come from sires as well as broodmares. Take Gondolette, winner of three selling races in four seasons of racing, to become one of the most influential mares in the General Studbook through two sire-sons, and two daughters of modest racing ability, Dolabella and Serenissima, who both turned out to be producers of note. Our focus is on Serenissima. A daughter of 2000 Guineas and Derby winner Minoru, Serenissima won twice in two seasons of racing. At stud she bred eight winners of some forty races, including Gold Cup winner (and sire) Bosworth and the filly Selene. The latter was on the small side and hadn’t been entered for the Classics. She won 16 races from 22 starts in two seasons of racing, and was widely regarded as the best 3yo filly in England. At stud, Selene established a dynasty. Her Derby-winning son Hyperion was many times champion sire in England. Two other sons, full brothers Pharamond and Sickle, made their their mark as sires in America, while a fourth son, Hunter’s Moon did the same in South America. In terms of our theory of kin-breeding (duplication of female-line ancestors whose pedigrees show great commonality) Selene and her descendants make for text-book examples. Selene is very closely kinbred (2×1) and is also closely inbred (3×4 to the mare Pilgrimage). Her legacy features prominently in the pedigree build-up of our subject stallion What A Winter, where Selene’s daughter New Moon is the significant bottom-line ancestor. Unraced, New Moon is by Solario’s son Solo, who died after just one season at stud. Closely kinbred (3×2 Volcanic x Serenissima) New Moon is dam of What A Winter’s 6th dam Hazy Moon. Like her dam New Moon, this daughter of Umidwar never raced, but the kin-breeding foundation was strengthened further. Hazy Moon is kinbred 2×1 Uganda x New Moon, and 3x4x4x3 Blanche x Silent Lady x Volcanic x Serenissima. The next link in the chain is Hazy Moon’s daughter Haytime, by Alycidon, who added I further to the close kin-breeding build-up: 2×1 Aurora x Hazy Moon, 2×2 Aurora x New Moon, and 4x3x3 Selene x Rose Red x Selene. Remarkably, for the third generation in succession the strong kin-breeding remained untested, as Haytime, like her dam and grandam, never raced. That was about to change. Haytime’s first foal, from the first crop of sprinter Galivanter, was the filly Haymaking, Rated 155 as a 3yo, she won six races from 1000-2000m, including the Coronation Stakes and Nassau Stakes. Like her female line ancestors, Haymaking was solidly kinbred, 4×3 Katuja x New Moon, backed up with 4x5x6x6x5 Katuja x Blanche x Silent Lady x Volcanic x Serenissima. The next generation was extended through Haymaking’s third foal Hayloft, by high-class Tudor Melody (rated 129), a successful sire. Hayloft was closely kinbred, 3x4x3 Fairly Hot x Aurora x Hazy Moon, and 3x4x4 Fairly Hot x Aurora x New Moon. She won 3 races as a 2yo, all over 1000m (rated Timeform 111), and stayed a mile as a 3yo. 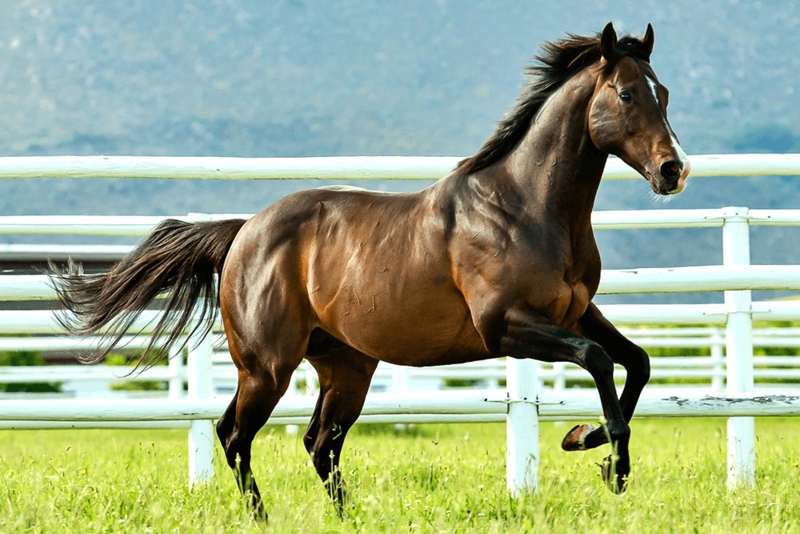 The theory of kin-breeding dictates that a high percentage of topclass racehorses are out of mares who are kinbred, have grandams who are kinbred, and show kin-breeding behind it through their female line’s Significant Ancestors. Hayloft fitted the bill. She came to the party with Irish 2000 Guineas winner Wassl (rated 125), a son of Mill Reef who provided further kin-breeding, 5x6x5x6x6 Quick Thought x Selene x Infra Red x Rose Red x Selene. Hayloft also was the dam of Wassl’s Sister (by Derby winner Troy), a maiden who in turn bred 3-time winner Waseela (the dam of What A Winter) from a mating to Ahonoora. Wassail’s Sister was kinbred 6×6 Tetrill x Selene, and 7x6x6 Lake Van x Rose Red x Selene. For the notebook, Lake Van (who is very close kin to Serenissima) is known in South Africa as fourth dam of sire Sweet Song (by Tudor Melody). Sweet Song and Hayloft (also by Tudor Melody) are very close kin. What A Winter’s dam Waseela was next, her sire Ahonoora making for kin-breeding 6×6 Silver Larch x New Moon and 7×6 Silver Tip x New Moon. To get What A Winter, Waseela visited champion sire Western Winter. Western Winter’s dam Chilly Hostess is by Vice Regent out of Impressive Lady. Vice Regent is kinbred 3x4x5x5x6 Lady Angela x Composure x Golden Feast x Most Beautiful x Bellamia Impressive Lady is kinbred 4x4x3x4x5 Picture x Lavendula x Lady Angela x Sceptical x Golden Feast. The key is Golden Feast, dam of Nandi who is doubled in the pedigree of Chilly Hostess. Western Winter’s sire Gone West is kinbred 4×3 Miss Dogwood x Mixed Marriage (dam of Tamerett). Mixed Marriage, who may be the key to Western Winter’s pedigree, is close kin to all of Lady Angela, Composure, Sceptical, Most Beautiful, Picture, Lavendula – and above all Golden Feast, who ties it all together. Satisfying to find, in this context, that What A Winter is kinbred through Western Winter’s Significant Ancestor Golden Feast, who is kin to all of Silver Tip (from Ahonoora), Lake Van (from Troy), Katuja (from Galivanter), Rose Red (from Alycidon), Selene, and Serenissima. Solid foundations make great structures. Mares with pedigrees carrying multiples of Selene and descendants should be high on the list for What A Winter. There is no shortage of this in the South African mare population. One notable source is Fort Wood, who has shown an affinity for Selene, evident in many of his best offspring, including Horse Chestnut, Dynasty, Celtic Grove, Elusive Fort, Fort Defiance. Horse Chestnut’s 3rd dam Antalya is by Acropolis (who links to Imitation and Khaled in Fort Wood’s female line – the Hyperion connection). Acropolis is out of Hyperion-mare Aurora, also dam of Alycidon, Borealis, etc. Antalya has Hyperion 3×4, her grandam Sanlinea is by Precipitation (Hurry On) out of a Hyperion mare. The Hurry On & Selene combo also appears in Hunter’s Moon, found in the female line of Elusive Fort. The latter is a descendant of the famous Argentine E-family, where Selene reigns supreme. Dynasty’s dam is by Commodore Blake, who has Hyperion 4x4x5 (Hornbeam, Libra, Barley Corn – the latter 3×3 to Selene’s dam), while Dynasty’s 3rd dam is by Abernant (by Hyperion’s son Owen Tudor). Abernant is interesting, as he’s damsire of Golden Thatch (whose sire Thatch is a son of Forli and full brother to Special in Sadler’s Wells). Celtic Grove’s dam is by Welsh Saint (3×4 Hyperion, one through Owen Tudor, the other through Aureole who is equivalent to Acropolis) and gets another Owen Tudor from her dam. Fort Defiance’ dam is by Home Guard (son of Forli) out of Miss Lily, whose sire Regent Street is 3×4 Hyperion (Gulf Stream and Owen Tudor) and whose dam Lily is out of a mare by Hyperion’s son Herald. Royal Chalice, Foveros and Harry Hotspur can be found close up in some of Fort Wood’s good runners, all carry Owen Tudor. Selene is dam of Hyperion, Pharamond (sire of Menow, who got Tom Fool and is damsire of Red God), Sickle (grandsire of Polynesian, 2nd damsire of Damascus, etc), Hunter’s Moon, All Moonshine (dam of Mossborough and 3rd dam of Sir Tristram). Mentioned earlier was Sweet Song, the son of Tudor Melody. Western Winter’s sire Gone West has the significant ancestor Mixed Marriage, by Owen Tudor’s son Tudor Minstrel (kindred 3×1 Serenissima x Sansonnet). 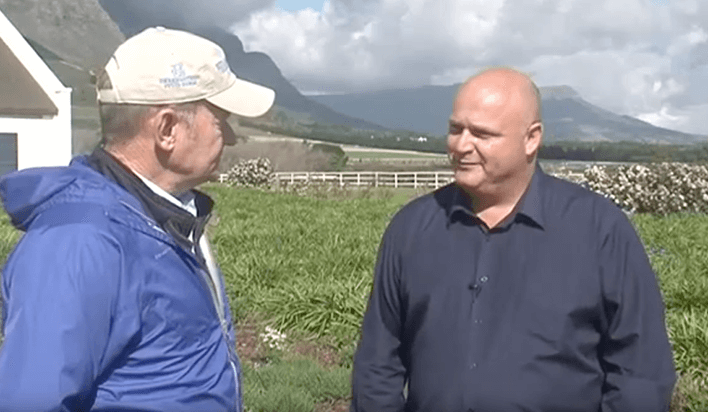 Note 2012 Cape Guineas winner Capetown Noir, who is by Western Winter out of Fort Wood mare Akinfeet, who has interesting Spaniard’s Mount in the bottom-line.